Tension myositis syndrome neck pain enjoys the dubious distinction of being the second most common location for mindbody ischemic symptoms to occur in the human anatomy. Tension myositis syndrome, more recently named tension myoneural syndrome, is a diagnostic therapy first offered by Dr. John E. Sarno, to explain often severe and chronic pain and nerve symptoms which are non-structurally motivated and linked to the psychosomatic process of creation, escalation or perpetuation. This article will take a detailed look at some of the symptoms often linked to TMS neck pain. We will investigate why these symptoms may choose to express themselves in the neck and how they might be relieved using knowledge therapy. 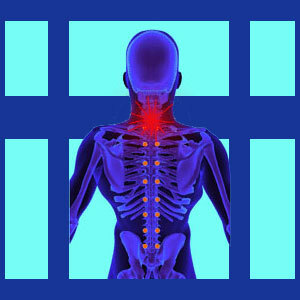 What Is Tension Myositis Syndrome Neck Pain? Pain is almost universal. Pain can be dull, sharp, burning, radiating, steady, recurrent, episodic or chronic. Most patients have pain which moves around in the neck, including to the base of the neck, the left side, the right side, the base of the skull or just under or behind the ear. A few patients might have predictable and stagnant locations for their pain. Radiating pain in the upper back or arms is common. Some patients have unilateral pain, while others suffer bilateral expressions. Most patients report variable pain patterns which move about in the neck, upper back, arms and hands. Neurological effects are also a typical reported concern. Patients may have tingling, weakness, numbness or a combination of these expressions in any of the areas affected by pain. Patients often report chronic stiffness in the neck, cracking sounds in the neck, grinding sounds in the neck, localized muscle spasms, frequent headaches and even trouble swallowing. Less frequent expressions include ear problems, balance disorders, vertigo, feeling faint, panic attacks and even nausea. Patients who have been definitively diagnosed with TMS should always follow their doctor’s therapy recommendations. In virtually every case, some form of knowledge therapy will be administered, with books, lectures and psychotherapy being the most common. Depending on the doctor, some physical modalities might also be recommended, such as pain coaching, physical therapy, massage, TENS or pain management drugs. For patients without a definitive diagnosis, self treatment is the rule. Although this sounds risky, and can certainly be when talking about most healthcare self-help practices, there is really no risk factors to attempting knowledge therapy. Patients can find the materials in their local library or purchase them online. Since there are no drugs or physical methods of care used, no harm can come from trying. The worst that can happen is disappointing results, but considering that this is a no cost treatment, even this is not such as bad thing, compared to the potential complications or consequences of unsuccessful medical care. I was treated by Dr. Sarno personally for lower back pain and sciatica. Dr. Sarno claims that most of his cures endure permanently, but my own correspondence with literally thousands of TMS patients shows otherwise. A large number are not completely cured, although most derive some benefits. Of those which do benefit, symptoms can return to one degree or another. This is actually quite common. Often, patients adept at knowledge therapy can banish new expressions in short timeframes by refocusing on why their pain exists. We discuss many of the problems inherent to overcoming any type of psychologically-motivated pain syndrome in our peer-acclaimed books in the Cure Back Pain Forever Program. 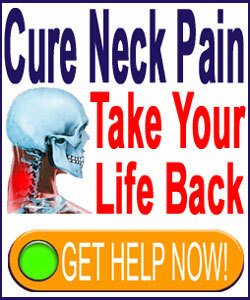 These books are available online 24/7 for immediate help for people in severe pain. We also work daily with patients who utilize a wide range of mindbody techniques to live better as part of our pain coaching practice. Cure-Back-Pain.Org is the leading tension myositis syndrome resource, detailing all of Dr. Sarno’s findings about acute and chronic pain. If you really want the full story on TMS, then look no further.